This book emphasizes on how saying the truth and being honest are much more effective then telling a lie or hiding a secret. 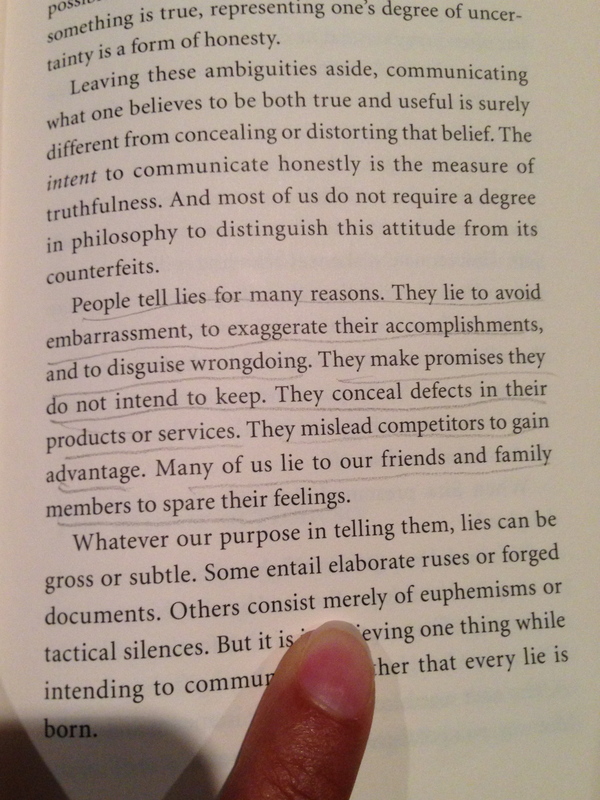 ” Lying is, almost by definition, a refusal to cooperate with others. It condenses a lack of trust and trustworthiness into a single act. It is both a failure of understanding and unwillingness to be understood. To lie is to recoil from relationships.” I think being true to oneself can give self confidence, can provide the strength to elaborate, which leads to a better understanding of one another, and finally allows an individual to gain respect from friends, family and strangers. It is rare to find people who are honest. People often say to me,”you are an idealist, you live in your own world, no one can be perfect.” In response, I think people are so used to lying, that they have forgotten how to be honest, where the fear of being rejected, judged, and criticized by other people results in a very frightening probability to face. I do not blame them to think this way. However, I also believe that we need to grow up and face that kind of fear because once we do, then we will be comfortable enough with ourselves and care less about what other people say in response to our views. The book has many examples on how some people prefer to lie than to say the truth, but the thing is, we don’t have to lie and we don’t have to be blunt and rude when we say the truth either. 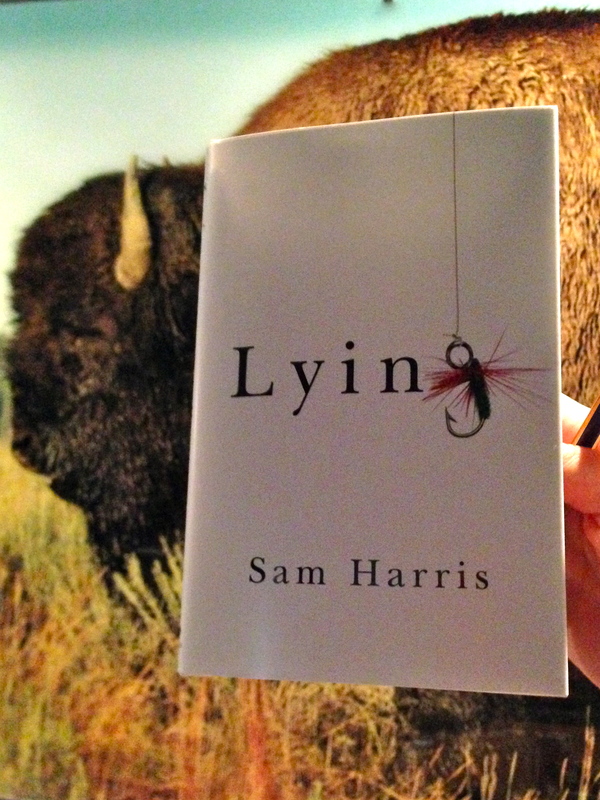 What Harris argues is that honesty can be said in many ways that are far more easier than to simply, lie.